Musician, composer, sound designer, performer, BioAcoustics research associate: (bass flute, percussion, lap steel, sampling, electronics). Studied music in the Los Angeles public school system grades 5 through 12 and left college after one year to conduct independent studies in acoustic and electronic composition. Ten years of study while working as a musician/arranger in Los Angeles and San Francisco in rock, funk, salsa, jazz and free improvisation ensembles. Also as a “studio musician” doing pop, film and commercial recording sessions and as a sound designer/recording engineer for theater companies and dance companies. Over the past twenty-five years J. A. Deane (a.k.a. Dino) has performed on over 40 recordings. From his own work to recordings by Ike and Tina Turner, Butch Morris, Brian Eno, Jon Hassell, and John Zorn. Mr. Deane has created sound designs for over 45 theatrical productions, and has worked with playwright/directors Sam Shepard, Joseph Chaikin, and Christoph Marthaler. In the world of dance he has composed, recorded and performed music for over 50 dance works during a twenty-year collaboration with choreographer Colleen Mulvihill. As a musician/performer Mr. Deane has given concerts at over 80 international music festivals in the U.S., Canada, Europe, Asia and South America. In New Mexico he works with Theater Grottesco, producer Mark Weber, drummer Al Faaet, The Bubbadinos, and “OUT OF CONTEXT” (a conducted improvisation ensemble consisting of viola, cello, bass flute, bass trombone, harp, acoustic guitar, percussion, and live sampling). Mr. Deane is also a BioAcoustics research associate. BioAcoustics uses low frequency sound to help stimulate the self-healing potential of the body. 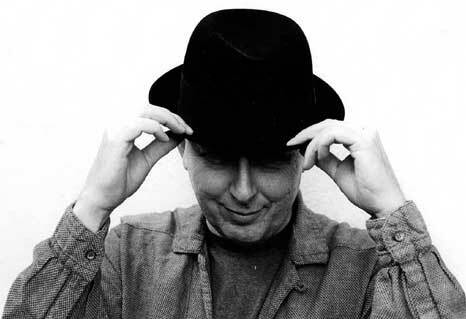 For a full portrait, bio and discography read An Interview with J.A.Deane by R D Armstrong.